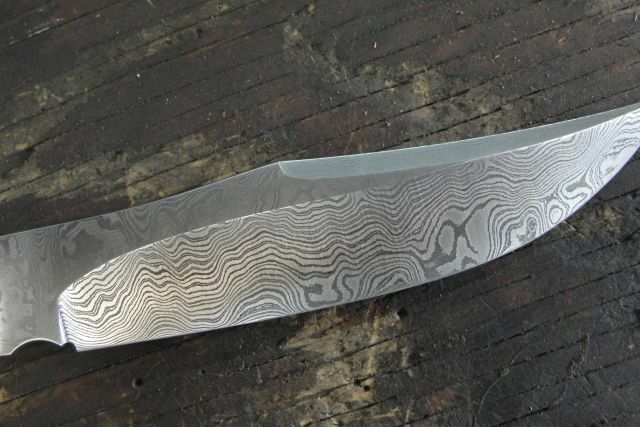 There has been a quite a lot of interest in getting Jim to conduct classes in beginning, intermediate and advanced bladesmithing techniques, as well as the various forge welded techniques, so in answer to these requests Jim has decided to offer classes for both local and out of area individuals. 1: Adequate eye/face protection. In other words..bring your own eye safety glasses/ goggles/face shields. NO EXCEPTIONS!! 2: Cotton or wool (in colder seasons..still cotton is best due tio the heat generated in forging) clothes. Natural materials do not melt and stick to your skin...NO Polyester, NO Nylon, NO Rayon or anything else other than something that grew from a plant or was sheared off of an animal. 5: Some sort of head band/sweat band/head covering. You WILL be sweating..A LOT so in order to keep it out of your eyes..some sort of absorbent material is required..
6: Anything else I say is a requirement, as this will depend upon the needs and requirements of any particular class/course of instruction. All classes include materials and supplies need for that particular class. This is one on one, hands on instruction with a world class bladesmith. For those in the greater Tampa area, workshops are available in two hour blocks of time to help hone skills, solve problems, use of equipment. Simply contact us with what you need, bring the projects and we are certain we can help. One on one instruction...a two hour segment is $50.00. These segments are available most weekday afternoons. If you have any questions or would like further information please us. Please note: These classes do not include room or board for the two day classes nor transportation to or from our facility. Please contact us for a list of motels, hotels and other places to stay in the Spring Hill, Florida area. These classes are a great opportunity to learn from one of finest traditional bladesmiths working today so, please, if interested feel free to contact us. Thank you!! 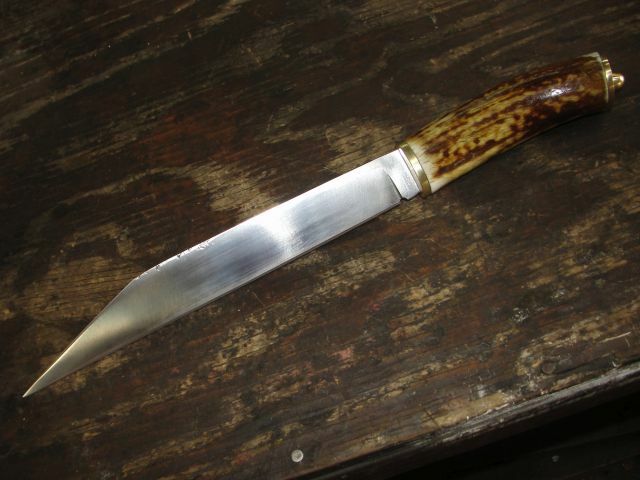 The two pics below are of a blade made by the Wicked and Lovely Stevie S. The steel she made in my basic Pattern Welding class and the knife was made in one of my Basic Knifemaking Classes. This one is just beautiful. 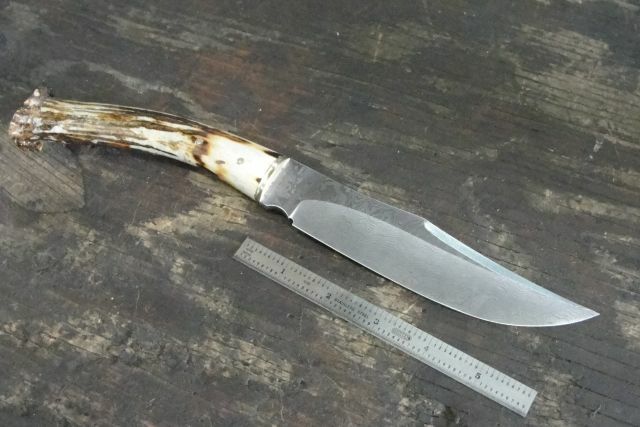 And here is the knife! Great job and this is her SECOND KNIFE!! Notice the clean lines and overall balance of the blade..